Gather ingredients and heat oven to 350°F. Line large cookie sheet with cooking parchment paper. 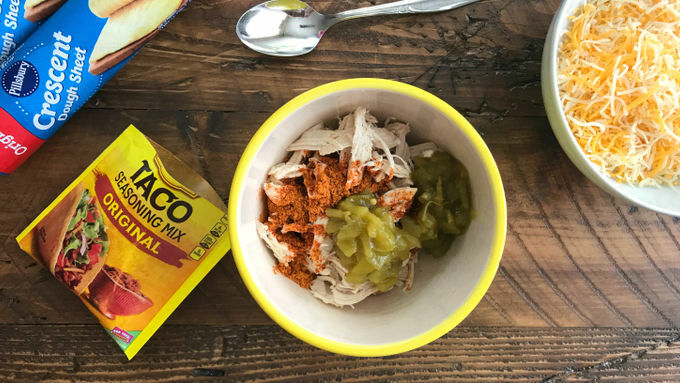 In medium bowl, mix chicken, chiles and 1 teaspoon of the taco seasoning mix. Unroll 1 can dough. Press into rectangle filling most of the space on cookie sheet. 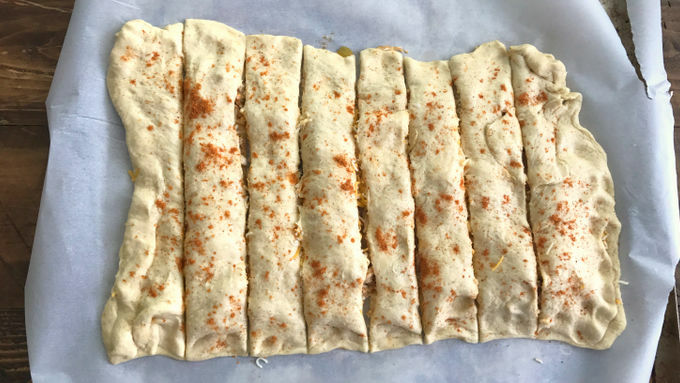 Spread chicken mixture evenly on dough. Top evenly with cheese. Unroll second can of dough. Place on top, pressing edges firmly to seal. Sprinkle with remaining 1/2 teaspoon taco seasoning mix. Using pizza cutter, cut into 1-inch “breadstick” strips. Bake 20 to 25 minutes or until cooked through. Remove from cookie sheet; cool 5 minutes before separating into breadsticks. Cook soup as directed on cans. Serve soup with breadsticks. Got leftovers? This soup-breadstick combo makes for an awesome work lunch the next day! Do you like a little more spice? Add in a couple dashes of hot sauce to your chicken mixture before baking. Soup and breadsticks, soup and breadsticks…they go together like…well, nothing rhymes with breadsticks, but they certainly do go together. Either one by itself is just a starter – tasty, but too light to be really satisfying. But serve the two of them side by side, and that’s a meal. They’re really easy to make, too, thanks to a few handy ingredients. 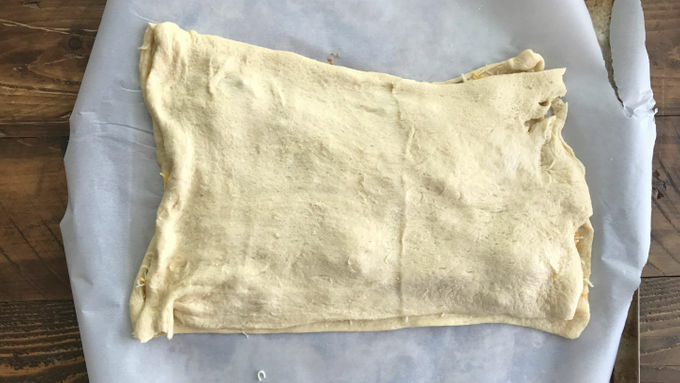 Instead of making your own dough, you just use a couple of cans of refrigerated Pillsbury™ crescent dinner rolls, rolled out to make one big rectangle. 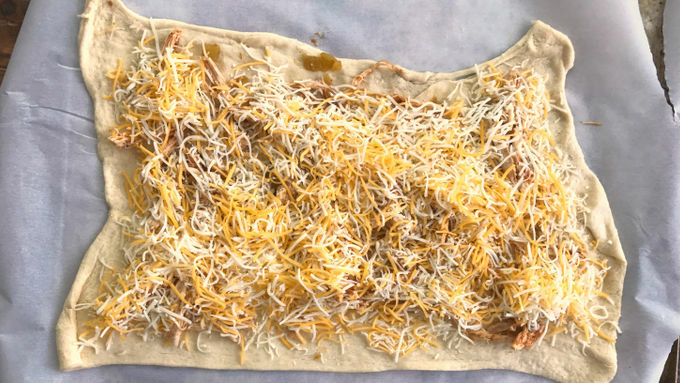 These bake up into hot, golden-brown strips, each one bursting with that zesty blend of chicken, cheese, and spice. 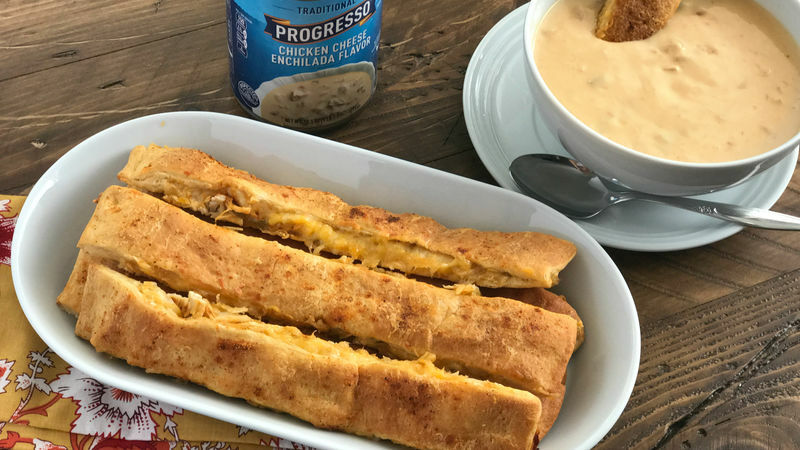 Serve them up with some Progresso™ chicken cheese enchilada soup, and you’ve got a complete, hearty Mexican meal.